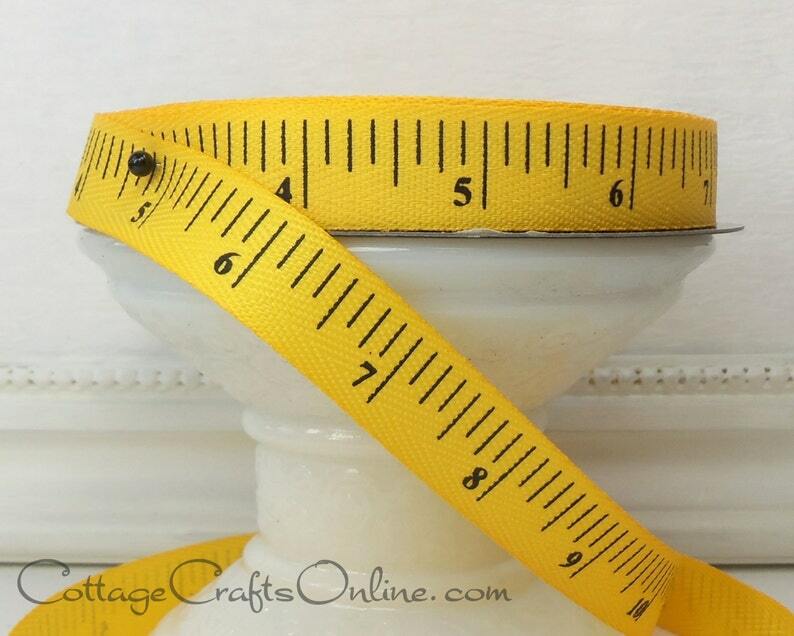 Bright mustard yellow gold measuring tape printed polyester twill tape, 5/8" width, from luxury ribbon company d stevens. Adds a nice touch to scrapbook pages or a hand made card. PLEASE NOTE: Sold as a decorative item, not intended for use as a measuring tape. Ribbon arrived quickly, safely and as described. Thanks sew much for making it available! !